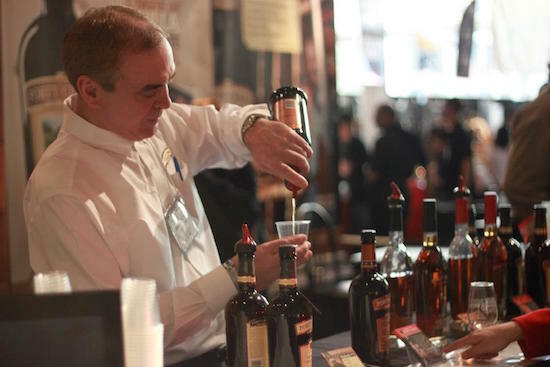 TORONTO, ONTARIO — The 21st annual Gourmet Food & Wine Expo takes place in Toronto this weekend and it will attract thousands of foodies, wine geeks and drink aficionados to the exhibits that take over 140,000 square feet of space at the Metro Toronto Convention Centre. More than 1,500 wines, beers, spirits and exotic foods will be on hand for guests to indulge in the best. The large venue and number of exhibitors pretty much guarantees that there will always be something for every attendee. A diverse selections of red wine, white wine, sparkling wine and fortified wine will be available to taste and explore alongside the finest cheese assortments, sweet macarons, Japanese cuisine and any other hors d’oeuvre you could possibly desire. Don’t love wine? That’s fine — hang out in the Spiritology Pavilion with cool bartenders and distillers, and learn how to mix a mean cocktail or visit a brewer to discover the best food and beer pairings. Throw caution to the wind, the expo is your oyster … pun intended. If nothing else, use this as an excuse to inhale a plate full of oysters. Sing and dance along with the long lineup of entertainers while you sip your cocktails and devour your gourmet snacks. If you fancy yourself an at-home chef or you want to improve your skills, do not miss the complimentary cooking demonstrations hosted by celebrity chefs. Organized by country, you can seek out your favourite producers and varietals and learn more while taking a wine trip around the world. Elite industry professionals will be hosting tutored wine tastings and seminars all weekend to satisfy the wine nerds and educate the everyday consumer. Have you ever had a Caesar made with bizarre liquors or exotic spices? Sip on a savoury cocktail on Caesar Sunday while local mixologists duke it out for the championship title. This is one of those box-store situations where everything you could ever need and want comes under one roof. Sip and then check out the to-buy options for later. Get in the spirit (see what I did there) and learn how to make your favourite trendy cocktails at home from some of the best local bartenders and distillers. 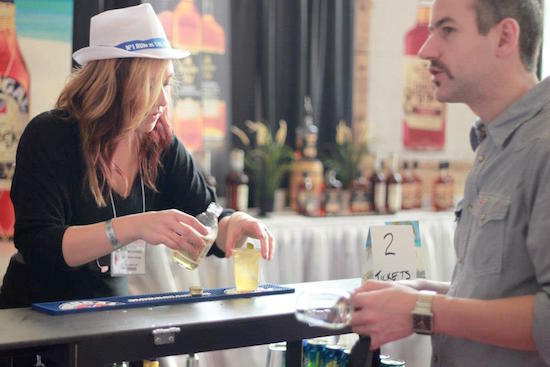 Hang out by the tasting stage to take part in some really cool, interactive and guided tasting sessions of fascinating wines, beer and spirits. Do not miss your chance to chat with amazing wine professionals, beer brewers, mixologists and expert chefs that will be waiting at every turn to chat about their craft. Catch up with friends, meet new people and connect with fellow food and wine lovers over a cup-a vino. Attend this event expecting to quench your thirst and fulfill your appetite in a place where indulgence is encouraged and gluttony is celebrated. Tickets: VIP Night (Thursday, November 19) $45, General Admission $20-$40, ELITE Pass $50, Gourmet Weekenders Pass $85, Sample Tickets are Extra – tickets are available at the door, but often sell out in advance.